By now we’re all familiar with the “Black IPA” style, which is essentially a stout with a lot of hops. What about a porter with a lot of hops – what do you call that? I’d say you call it Sixpoint Beast Mode. This is another brew from this eccentric brewery that pushes boundaries and defies style categories. Probably best describes as a porter/red ale hybrid – the hops are dominate, but roasted dark malt is quite prominent as well. Quite fascinating I’d say. I poured a 12oz can into a nonic pint glass. It had a best by date of 7/9/15 and cost $3.15 ($0.26 per ounce). Appearance: Brown/maroon/mahogany shade. Lighter and more translucent than most porters. Pours to a small, tan, foamy head which retains and laces quite well. Smell: Almost IPA-like with assertive citrus and flowery hops. Some dark malt is noticeable. Taste: Judging by the description on the brewery’s website, I went into this beer expecting a solid, to-spec porter, but what I got was something else. There’s a strong citrusy hop presence here right from the get-go. Supposedly only 44 IBUs, this feels like something higher and more in the traditional IPA range of bitterness. Notes of orange and grapefruit with a sweet, floral bouquet as well. The dark malt doesn’t appear until the second half; imparting lightly sweet notes of caramel and a hint of roasted barley and iced coffee. 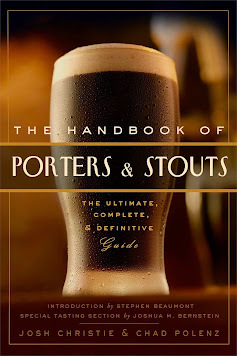 Nothing in the way of dark fruits as is often found in traditional porter, though I do enjoy the dynamic of the hops and malts (a way of balance through contrast). Drinkability: I was expecting Sixpoint Beast Mode to be a rather intimidating brew, judging by both the name and the 6.4% ABV on the can. Though overtly bitter, it’s actually a comfortable and smooth brew all around. The mouthfeel is only medium-bodied with the right amount of carbonation and a soft texture. I do detect minute alcohol warmth and flavor, but it’s subtle enough to ignore. Additionally, the hops do linger a bit, but it is washed away quickly by the following swig. I could see this being a great beer for savory food pairing.